5 of our finest feathers, you may choose the colours. Comes with 6 micro rings of your choice or assorted. 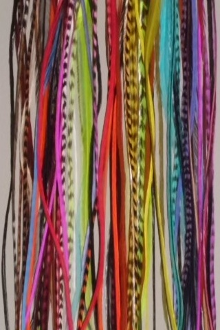 Please indicate your colour choices in text field, we will do our best to send you our nicest feathers available in your choice, every order is slightly different!